No matter what you need to build, construction is a complex and time-consuming process. In some cases, time is crucial and that’s where modular construction saves the day. The efficiency and eco-friendliness of modular building construction are reaching new heights and the manufacturers of these constructions have built some very amazing designs and structures throughout the years. So yes, if you are considering a more modern and greener approach to construction, modular is the way to go. However, before making any decision, it is vital to inform yourself about what exactly are prefab buildings and what are the benefits that make them the future of construction. They are regular buildings which are constructed in a controlled factory environment. It is an eco-friendly way of construction as there is almost no material waste, the wood used in the construction becomes a renewable natural resource and the disturbances on site are little to none. Also, prefab buildings can be made in any design you want them to be in and it takes less time to be built. With traditional construction, the projects may get delayed or be affected by the changes in weather, which is not the case with the construction of prefab buildings. Besides these, there are some other factors that make modular construction the future of architecture. Let’s take a look at them. The advances in technology have made their way into the modular construction as well. Every technique that has been used in the production process of furniture and cars, today is used among modular construction companies all around the world. The use of digital modeling along with the manufacturing of digital techniques, like 3D printing, has made modular building systems a more convenient, safe and popular option compared to traditional construction. CNC-controlled techniques and robots today are part of many manufacturing modular construction companies. Modular architecture aids with the problem of labor. There was a time when the construction capacity was destroyed and thousands of people who worked in this industry lost their jobs. Many of the site superintendents, skilled craftsman, and construction workers have tried their skills in new professions and some of them retired. Once the construction market rose again, there were no qualified people to work as people from the new generations have opted for other professions. 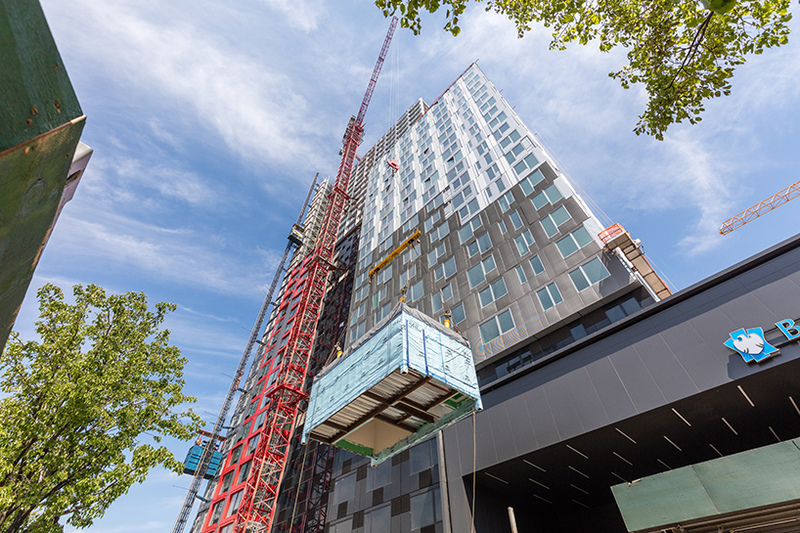 The shifts in the economy, the combination of all the advances that technology offers, the loss of skilled workers and the increased cost of skilled trades all together have made the fast growth of modular construction possible. When you also add the demands of clients, increased quality standards and the desire for faster results, there is no doubt that modular building is the right way to go.